BUNDABERG woman Maureen Gerrard had spent her Friday morning in a pretty ordinary way. Mrs Gerrard started her day with a trip to church before heading out for some lunch to join in a family celebration. 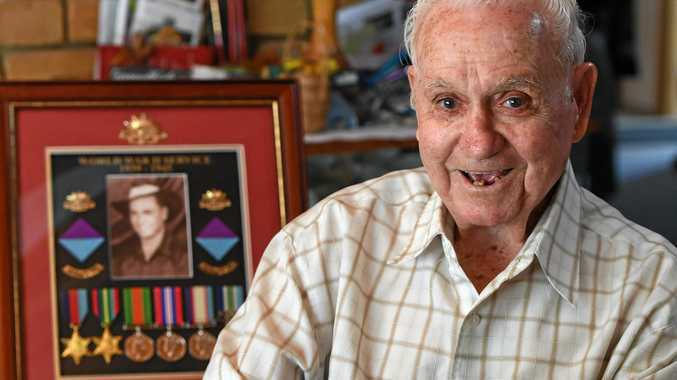 Her niece suggested they go along to the Bundaberg RSL, and delighted by an available parking space just outside the club, the family went in and had their meals. It was only when they left the building they noticed something abnormal was going on. "There were police cars everywhere," Mrs Gerrard said. Bizarre crash - Bundaberg RSL Club: Tow truck operators work hard to untangle a mess of three vehicles that were part of a bizarre crash outside the Bundaberg RSL Club. She looked at the place she had parked her car, and could not believe her eyes. "There's this car on top of my car," she said. "I'm in a bit of a daze at the moment." Mrs Gerrard was in good spirits, and said while she was a little shaken by the incident, she was just grateful no one was in her car at the time of the collision. Mrs Gerrard said she didn't know what had caused the crash. "I don't even know anything about it," she said.